Call Carr & Carr Attorneys if you are having problems with a property damage claim. After major damage to your home, business, car or other property, there are a few steps that you need to take to help with insurance and other paperwork in the coming months. Overwhelming and often intimidating, submitting property damage claims to your insurance company can be complicated, but may ultimately be worth it if you are eligible to receive financial assistance to help deal with your loss. Always check to make sure that your family and loved ones are safe. It is always a good idea to seek appropriate medical attention as well, even if you feel that everyone is completely healthy. Let your most important contacts know exactly where you will be staying. Give them cell phone and land line numbers if available. After a disaster, you never know what technology will work. Boarding up windows and/or doors to help keep out vandals. Record all of your expenses relating to this; for example, if you buy plywood, a hammer and nails, save your receipts. Consider putting up a very temporary fence around the perimeter of your property. This could be as simple as yellow caution tape, just to help keep people out. Turn off your gas line, water lines and any electrical power. Seek professional help if you are not experienced in these areas. Cover the rook with tarp if it is damaged, but do not attempt to do this yourself. Hire a professional to do this, and keep a record of your expenses. Contact your local police department and request that they patrol your neighborhood more frequently. Frequently check up on your property to make certain that nothing has changed. Check for break-ins or looting. Make certain that your personal property is safe and protected. Secure all other valuables that are near the property damage, to help prevent further harm. Possibly move the damaged property to a portable storage unit for the time being. Never throw away damaged property because it needs to be documented by photos or video. There is insurance value in every item of yours that has been destroyed. Call your insurance agent and file a claim as soon as possible. It is helpful to have an accomplished lawyer with you during this stage of the process, as they can help to make sure that your provider does not try to cheat you out of anything. Continue to make your mortgage and insurance payments. Even if your home is destroyed, you must still make payments and make sure they are on time. Get in touch with your various utility companies. Find out about deposits, payments that are due and any safety issues. Obtain a full and complete copy of your insurance policy. This is good to have on hand for your own personal reference and it can be retrieved by calling your insurance agent. If there was a fire, be sure to get all of the records from the fire department. Their statements could help increase your settlement amount. 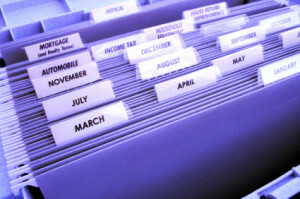 Keep an accurate account of all your living expenses during this time. If you are forced to stay at a hotel, eat out or use more gasoline as a result of the property damage, you may be able to receive compensation for some of those costs. Keep all of your receipts. If your home or business has been damaged due to a natural disaster — such as the tornadoes in Moore and El Reno — contact the insurance bad faith lawyers at Carr & Carr Attorneys by filling out the form to the right or calling 1-877-392-4878. We might be able to help you if your insurance company is acting in bad faith. Your insurance company is not supposed to refuse to pay a valid and properly documented claim. If your insurance company refuses to pay your claim, you have options available to protect your family and home. Can My Insurance Company Refuse To Pay My Claim?